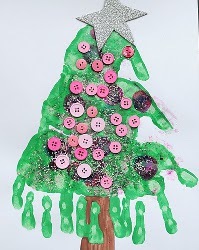 Here's a fun Christmas tree hand print craft with paint and buttons. First paint a brown trunk on white paper. Starting from the trunk, print green hand prints in a pyramid shape to make the tree as shown. Sprinkle wet paint with glitter. Allow to dry. Glue buttons, sequins, or spangles on for ornaments. 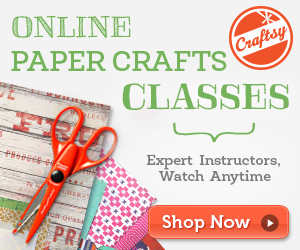 Trace a star on cardboard or foam. Cover in glue and glitter. Allow to dry. Cut out the star and glue at the top of the tree.